Yesterday in the car I was listening to the lunchtime talk-show on the Nationalist Party’s radio station, hosted by Evelyn Vella Brincat, whose brother is the failed party leadership contender Frank Portelli. It was unbearable, but I felt I needed to suffer through it in the interest of journalism. David Agius, the party whip and contender for the post of deputy leader, was on with her. I finally switched off when Mrs Vella Brincat announced that it was David Agius’s birthday – how old is he, 10? – that those listening to the show should give him “the best birthday present ever by becoming members of the Nationalist Party, because I have known David for a long time and he has always been a party boy so he will want that more than anything” (translated from the Maltese). This is what it has come to: the triumph of evil and idiocy, a kakocracy on one side of the House and an idiocracy on the other. 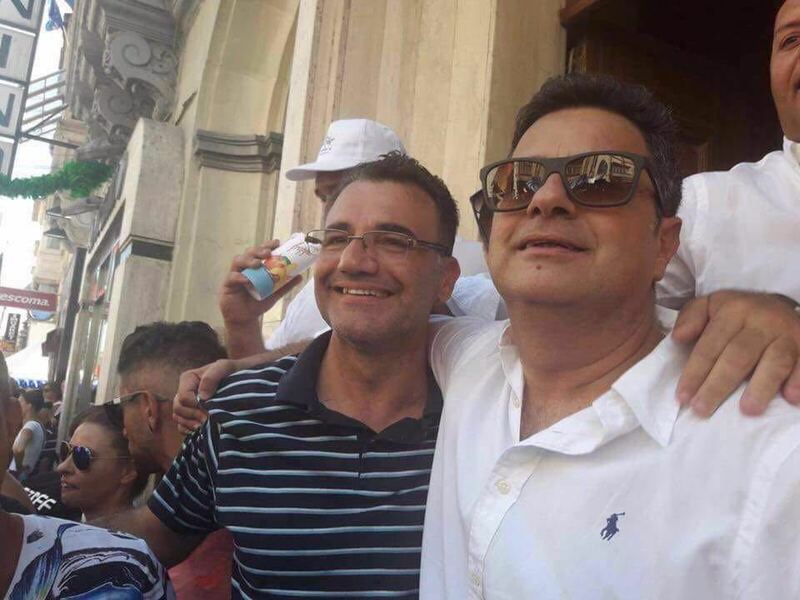 Nationalist Party deputy leadership contender David Agius (left) with party leader Adrian Delia: the serious business of the running of the country treated like a game of football in which the sole aim is for the Nationalist Party to ‘win the game’ against Labour.